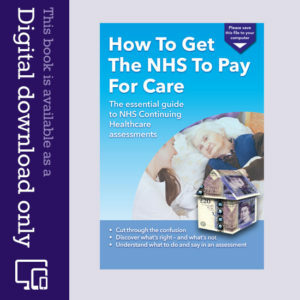 How is Registered Nursing Care Contribution (RNCC) assessed? Many people say that one of the biggest worries about growing older is the fear of losing their memory. And yet for many people when this does start to happen they have no awareness of it. It’s their family and friends who notice it most – and inevitably have to pick up the pieces. Trying to get someone with early dementia to recognise they need help is not easy, and the subject demands far more attention than in a single article like this. However, we’ve outlined a real case study here (the name has been changed), and we’ve pulled together some tips and advice from the family concerned. Alice is in her eighties and was widowed 12 years ago. She had worked full-time before getting married and had always seemed capable of managing her household affairs. She seemed OK for many years after her husband died, but then her family noticed she was getting increasingly forgetful.She’d always been fiercely independent, and was adamant there was nothing wrong. When anyone offered to help her manage her affairs, she was hugely defensive, sometimes aggressively so, and refused all help. She would also not allow anyone from Social Services to cross her threshold.Alice’s generation meant it was her husband who had actually managed all their financial affairs previously, and so it was perhaps a mixture of pride, embarrassment and mental confusion that led Alice to keep insisting she was still perfectly able to manage things now. However, she was forgetting conversations, her house was deteriorating, she was losing touch with the realities of day-to-day life, she would open her post but not deal with it, junk mail was accumulating in every available space in the house, and bills and important items of mail were getting lost in all the piles of paper. Not only was this a fire hazard, especially in the kitchen, but it soon became clear from the final demands lying around under all the paper that Alice was not paying her bills. Having her phone cut off and receiving a demand from the power company to enter her property were the final straw. When asked by her family about these things she continued to deny anything was wrong – and that the supplier companies were at fault – because, of course, she’d forgotten that the bills and letters were there! Thankfully, she’d previously set up a Power of Attorney, after some persuasion, and it was now clear that this power would have to be used. However, because for various reasons she would know this was being done, it was going to be a whole lot easier for the family to deal with everything if she at least gave her consent to this. 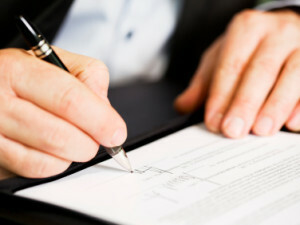 While your relative is still mentally well, persuade them to set up a Power of Attorney. This is vital. As soon as they start to lose the mental capacity to make decisions, it’s too late to set one up. You could agree to set one up for yourself at the same time, so that it becomes a ‘family thing’. You could also mention people you all know who’ve already set up Powers of Attorney. Reassure your relative that it won’t change anything in their life right now: It’s simply a kind of ‘insurance policy’, so that someone can step in and help should that ever be needed. If appropriate, mention how much kinder it is to the family if a Power of Attorney is already set up and in place, otherwise the family may face months of hassle with various public bodies in order to be able to protect your relative’s money and assets. And they really wouldn’t want their family to have to go through that, would they? Next time you visit, casually ‘notice’ one of the unpaid bills or final demands lying around and start a conversation with the person about whether they’d realised it was due. If they dismiss the problem and say it’s already been paid, ask how it was paid and start a conversation about how the person generally pays their bills. You could also say how easy you find it to pay your own bills by direct debit, because that way they never get missed. If your relative has already had a service disconnected at some point before now (e.g. electricity), remind them how awful that was. State how difficult it will be not having any heat, light, kettle, toaster, phone, etc. when it happens again. Mention that delays in paying some bills can lead to a court summons. Stress that you really don’t want this to happen to them – and that you yourself also don’t want to be faced with picking up the pieces and sorting things out. Although this can sound harsh, it does often help get the message through. Depending on the situation, you could also say that you’ve called the supplier company and asked them not to disconnect the service (even if you haven’t). Say that it was because you were so concerned that your relative would be left without heat/light/power/phone, etc – and how awful that would be. This helps reassure your relative that you’re on their side. If you are the appointed financial Power of Attorney, you could also add that the current situation is putting you in a very difficult position, because you have a duty to see that the person’s affairs are being managed properly – and if you don’t, you are ultimately responsible. This can help your relative understand that they need to help you here, too – to allow you to protect their financial position. If you can help your relative feel they still have an important role to play in sorting their own affairs out – and that you really value their help – it can often encourage them to more readily cooperate and accept help. Then it’s a question of gently suggesting you now have a ‘quick look’ through some of their paperwork, while reassuring them that you’re not taking anything away from them and that they are not losing anything. By going through this kind of ‘consent’ process, it can then be easier all round to start using your Power of Attorney – while continually reminding your relative at every opportunity of the conversations you’ve now had about it. These situations are never easy, and each family has its own strategies. We’d love to hear how you’ve dealt with this kind of situation yourself. 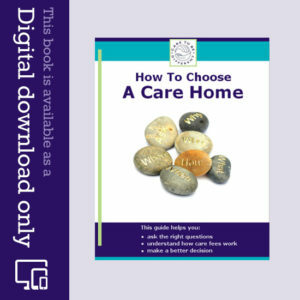 Read our tips on how to choose a care home. 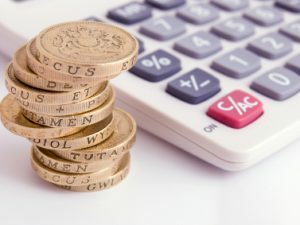 Are You Paying Top-Up Fees Unnecessarily? Can I use my financial power of attorney in Continuing Care assessments?